Anna Bui, in a photo posted to her social media. Last week, toxic masculinity claimed its latest victims. In Mukilteo, Washington, 19-year-old Allen Ivanov has been arrested after driving to a house party where several of his high school friends were gathering, and shooting to death his ex-girlfriend, Anna Bui, along with two fellow classmates, Jordan Ebner and Jake Long; a fourth unidentified friend was also injured in the attack. Ivanov killed Bui, Ebner and Long, with a legally purchased AR-15 which he appears to have bought specifically to carry out the attack. Pictures of the long-gun were posted to Ivanov’s social media in the days prior to the attack, along with cryptic messages about his plans to carry out the murders. After shooting Bui and their friends, Ivanov escaped and was arrested in his car nearly 100 miles from the scene of the attack. Both Ivanov and Bui were identified as students at the University of Washington, and over the weekend, the school sent out an email mourning the shooting and encouraging students to attend grief counseling. Friends say that Bui had broken up with Ivanov either a month ago and/or in the week prior to the attack (depending on whom you ask), and she seems to have been the primary target of his assault. One friend told the Daily Mail that Ivanov had been “depressed” after his relationship with Bui ended, and that minutes after the shooting, Ivanov sent a text saying “I just killed my ex-girlfriend” and contemplated suicide. Other friends described Ivanov as incapable of such violence; but, in contrast, that he “often had a jealous side” and that he acted as if he had “something to prove”. 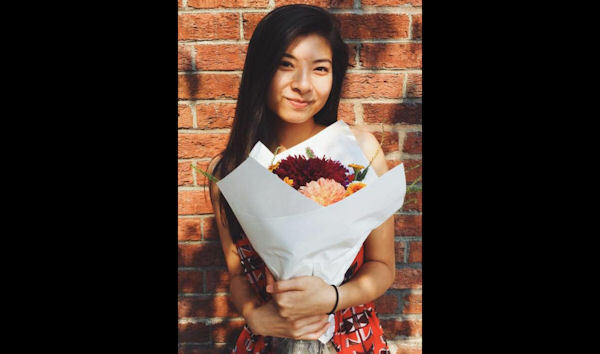 Anna Bui is the latest name in a heartbreaking list of women whose lives were taken by men who resort to violence in the wake of the ending of an intimate relationship — like Bui, many of those women are Asian American women. The role of toxic masculinity and misogylinity, and its assertion of male entitlement over female sexuality, in violent killings such as these cannot be ignored. According to the White House, 40% of mass shootings in the United States begin with a shooter targeting a current or former romantic partner, while intimate partner violence is four times more likely to involve a female victim than a male one. Put another way: 70% of victims killed by an intimate partner are women. Intimate partner violence is a real problem for AAPI women (as it is for all women, including all women of colour), and it deserves more of our attention. The Asian American Psychological Association reports that 1 in 10 AAPI women report minor violence from an intimate partner, while 1.2% experience severe violence. The Association further suggests that intimate partner violence may be grossly underreported in our community; in other microstudies, 40-60% of AAPI women surveyed reportedly experienced some form of intimate partner violence. Too often, intimate partner violence escapes our attention except under the most heartbreaking of circumstances — when non-fatal violence escalates to murder. In 2013, 36 AAPI women were killed by a male in a single offender/single victim incident. Review of 160 cases of violence within Asian families spanning a six-year period reveal that 70% of homicide victims were adult women, and 83% of perpetrators were adult men. Sadly, we can put faces to those statistics. Last week, Allen Ivanov shot and killed Anna Bui, presumably out of retaliation for her decision to end their relationship. In 2009, Annie Le was brutally murdered by a fellow co-worker at Yale, Raymond J. Clark III, after rejecting his unwanted romantic advances. In the same week, Felicia Lee was apparently murdered by her live-in boyfriend, Brian Randone. Two years ago, 20-year-old Tong Shao, a student at Iowa State University, was killed by Iowa University student and former boyfriend, Li Xiangnan, after an argument in which Tong attempted to breakup with him. In that same year, Su Hsin was murdered by Su Chen, her partner of several years, before he turned his gun upon himself. (HT JF) Just this past weekend, 35-year-old Vantha Tho was shot to death in Hermosa Beach by her former boyfriend, Angel Marquez, in an apparent murder-suicide. The list goes on, and on, and on (see Tables 5 and 7 of this report); and while we might instinctively focus on stories like these when they are part of a sensationalized, headline-grabbing murder, to do so only under such circumstances does this issue a disservice. We need to talk about intimate partner violence not as isolated incidents, but as a systemic problem affecting all women, including AAPI women and all women of colour. A few weeks back, I listened to an NPR story exploring a recent report issued by the Connecticut Coalition Against Domestic Violence on the state’s Asian American victims and survivors of domestic violence. CCADV is a local non-profit dedicated to preventing domestic violence, and for the first time, they are committing resources to addressing the issue in a culturally-specific manner; they are by no means the only non-profit in the state or the nation to focus on intimate partner violence as it affects communities of colour or AAPI communities specifically. Nonetheless, among the issues identified in CCADV’s report as hindering AAPI women from coming forward on the topic of domestic violence are: language barriers, and the cultural, political and social isolation faced by recently immigrated women whose legal immigration status might be tied to an abusive domestic partner. For women who face the latter issues, the American legal system is more often foe than friend. That was the case with Nan-Hui Jo, a Korean woman whose lapsed visa status stymied efforts to escape her abusive domestic partner whom she feared would one day take her life and the life of their child. When Jo eventually fled the United States with her daughter to escape her abuser, she — and not her abusive partner — was arrested, charged, and convicted on child kidnapping charges when she returned years later. We need a sea change in how we deal with intimate partner violence. Rather than allowing legislators to co-opt laws originally designed to protect domestic violence victims, and to use them instead to criminalize immigrant and AAPI women, we need to at last hold our legislators really, actually accountable to enacting better measures that protect victims of intimate partner violence, particularly as intimate partner violence impacts women of colour. Furthermore, we need to stand up to toxic masculinity and its violent logic. As a nation, we need to have real and frank conversations about masculinity and misogylinity, and the devastating impact that toxic masculinity has on both men and women. No young man should grow up believing that his masculinity is defined by his entitlement over a woman politically or sexually, and no woman should die at the hands of someone who believes violence is appropriate retribution for the assertion of her self-agency.